A black boy is sitting on a porch, reading to his father, who, according to the back of the photograph, does not know how. Published on page 349 of Highways and Byways of the South, by Clifton Johnson. 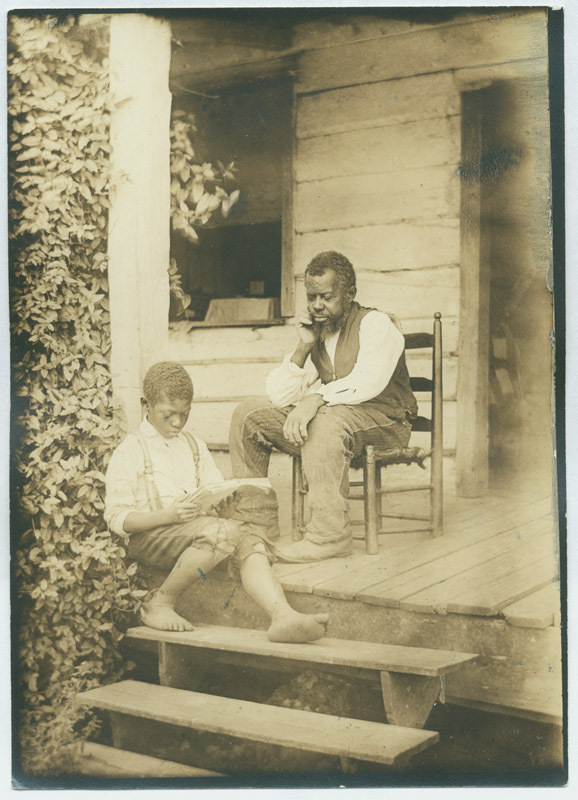 Johnson, Clifton, 1865-1940, “Black boy reads to his father in South Carolina,” Digital Amherst, accessed April 23, 2019, http://www.digitalamherst.org/items/show/1239.